After several meals of fish tacos, I was ready for a change. 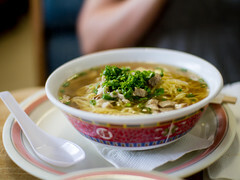 Star Noodle was the perfect meal and I even contemplated a return visit during our trip to Maui, the food was that good. 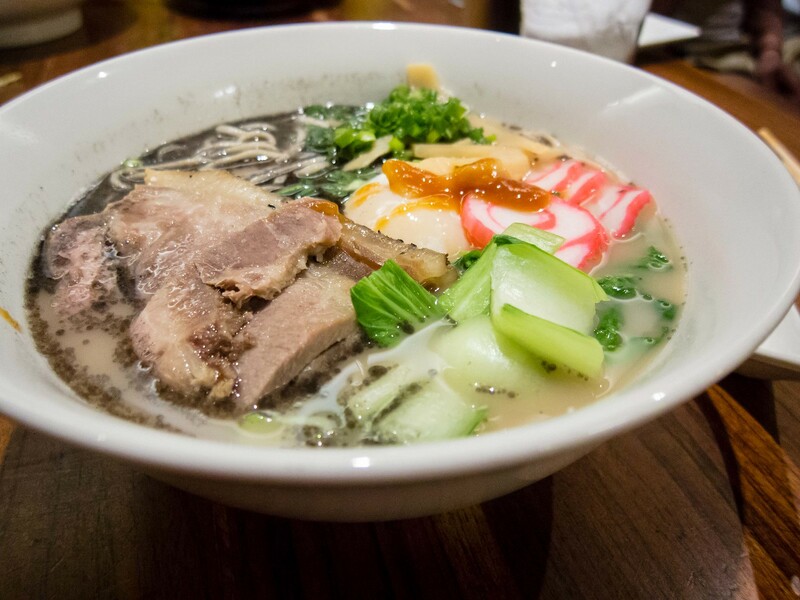 Atmosphere: Located near the Kaanapali Resort area, Star Noodle was tucked away behind the main road in a fairly new neighborhood. Following our GPS, the Fiance was sure I was getting us lost until I spotted their sign. A good number of people were already waiting outside the restaurant for a table. We added our names to the queue and joined them. The interior of the restaurant was modern with large communal tables in the centre, bar stools along the bar and more private tables along the walls. We sat down around 8pm and there was still a small line when we left close to 10pm. Diners ranged from couples to families and across the spectrum of ages. Service: It was a 45 minute wait before we were seated. When the family at the table next to us left, the servers moved quickly to clean up and reset the table. I appreciated seeing the efficiency and effort Star Noodle put in to turn over tables. It was also nice because we weren’t rushed at all during our meal. 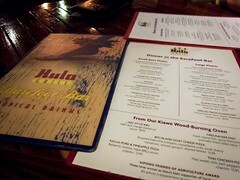 Our server was friendly, answered all of our menu questions and offered recommendations. 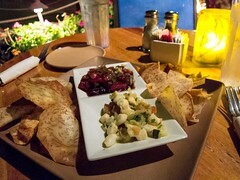 Our appetizers arrived quickly, hot and each course was served after the previous one was cleared. 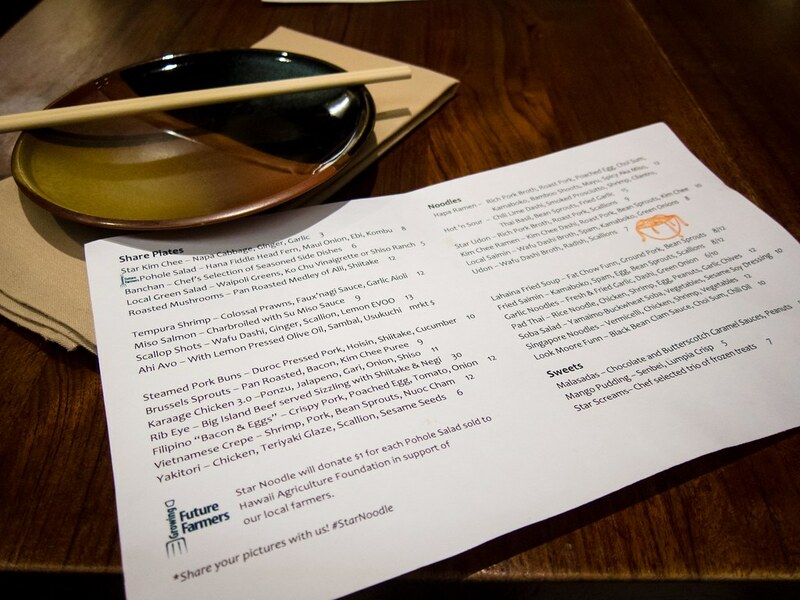 Food: After reading the menu, I wanted to order everything. We had to settle on two appetizers, two entrees and I forced room for dessert. Still it was too much food and my dress was uncomfortably tight after but I would do it again. For our appetizers, we ordered the Steamed Pork Buns and the Vietnamese Crepe. 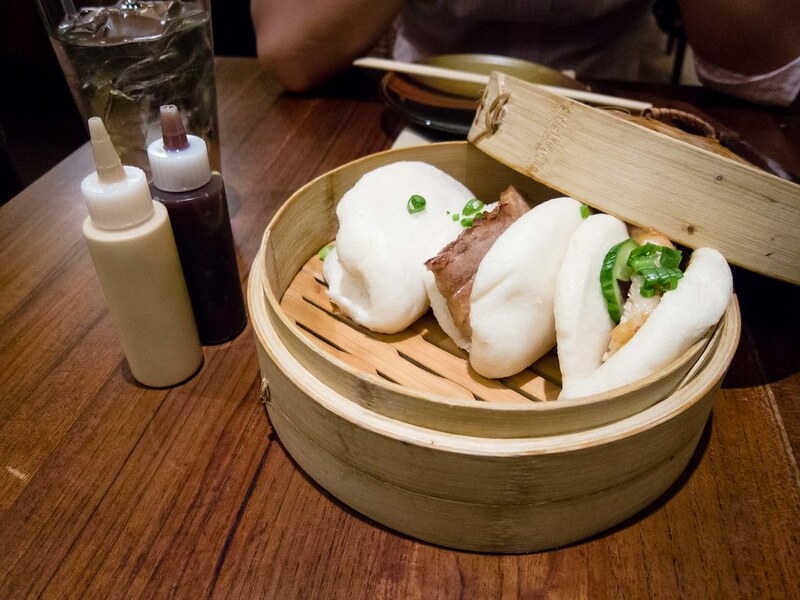 The buns were fine, soft baos and flavoured pork belly. Personally, I prefer my pork belly charred and more crispy, not the best baos ever but decent. I loved the Vietnamese crepe (Banh Xeo). 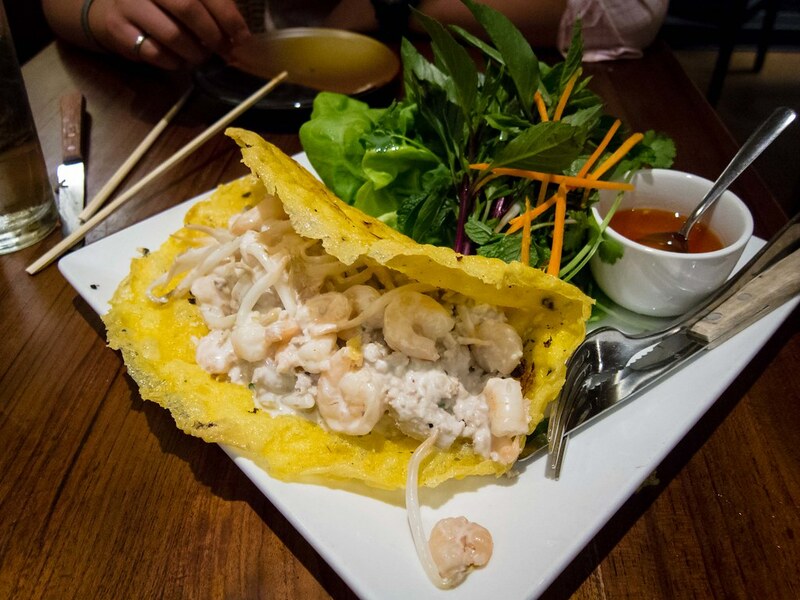 Minced pork and shrimp, cooked with coconut milk, was wrapped in a crispy crepe and served with fresh bibb lettuce, basil and cilantro. Each bite was delicious and the portion was huge. The flavours were rich, savoury, creamy and all the different textures were brilliant together. Just writing about it makes me want to have it again (any recommendations in Toronto?). Both The Fiance and I went with noodles for our mains. 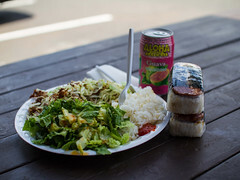 I chose the local saimin with spam and fish cakes while he ordered the Hapa Ramen. Both bowls did an excellent job with the broth. My dashi was well seasoned and The Fiance’s pork broth was rich and milky. 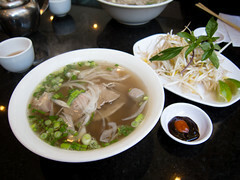 The toppings were generous and I liked the simplicity of my bowl, strong flavours and fresh ingredients. I would have preferred my noodles a little more al dente. As is, they were a bit soft. 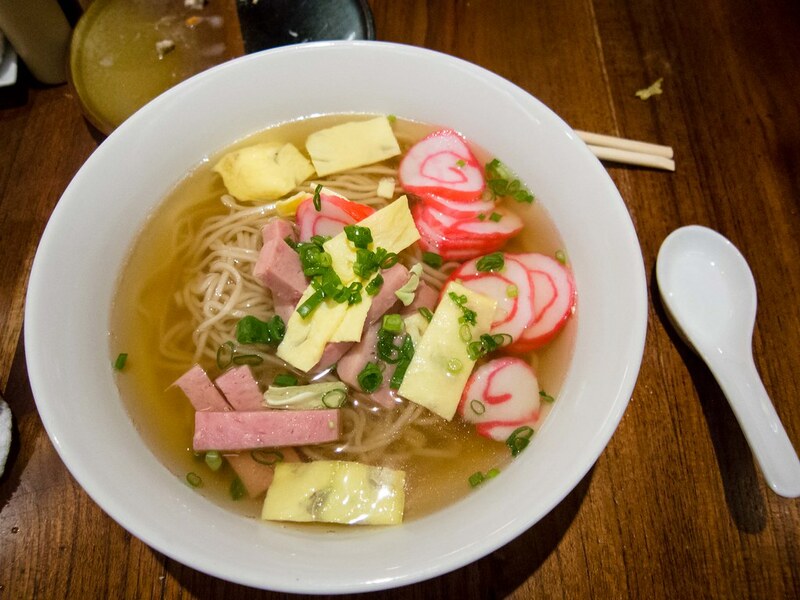 Overall, I liked my saimin the best but it was a close call. I didn’t have any room left for dessert but plates of Malasadas kept walking by and when our server offered to bring us a half serving (just two vs. the usual four), I couldn’t resist. 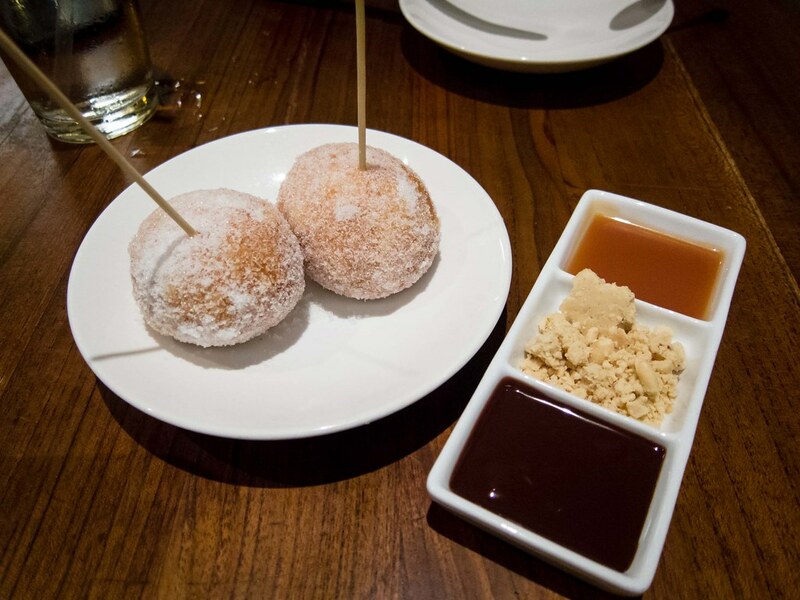 The fried dough balls were piping hot, coated in sugar and served with crushed peanuts, butterscotch and chocolate sauce. A decadent dessert. The malasadas were airy and I had to stop myself from licking the butterscotch sauce off the plate.